It's that time again: May's entry for the Martha Stewart Cupcake Club! I'm still super ashamed about not posting very much in the last month. I can't believe that I've only posted once since the last MSCC entry, Jumbo Hostess Cupcakes. In an attempt to rectify the matter, I'm posting twice this week! Yay! This cupcake is soaked in a sweet blend of heavy whipping cream, evaporated milk, and sweetened condensed milk. You'll need a stand mixer for this one. Unless you like hand cramps. Beat together egg whites, baking soda, and salt until soft peaks form. ...and sugar until well combined. When you pull them out of the oven, immediately use a fork to poke holes. Whisk together the tres leches! Now comes the messy part! Brush the milk mixture over each cupcake, over and over until all of the milk has been absorbed. This is super tedious and takes a while to do. Oops! As it turns out, I mis-read the recipe. IMPORTANT: it called for tin foil liners, not paper ones. More on this later. The frosting is a super light fresh whipped cream! YUM! Mix together heavy whipping cream, vanilla extract, and sugar to taste. This is why using the paper liners was a bad idea. You see how the milk mixture is leaking out the bottom of the cupcake? Yikes! Luckily, I had some extra cute liners laying around! I dropped each cupcake into an extra liner. Beautiful! The whipped cream looks like little puffy clouds! I dusted them with a bit of cinnamon as a finishing touch! I agree, they were super soggy, but still delicious! Sounds like my experience was similar to yours Judy - just a really weird, unappealing texture to the cupcakes. I couldn't even get past the texture to decide if I liked the flavor :) Yours are gorgeous, though! For "weird" cupcakes - the certainly look great! 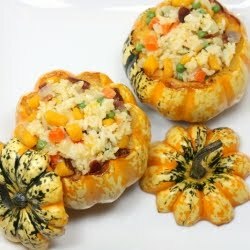 I have yet to make these (next week) - and am glad you showed the prep work, I didn't know they'd be that tedious! Hm.... now I'm really interested the the "texture".... frosting looks wonderful - sprinkled! Glad you are back posting -I'm behind on commenting! Mine were soggy too - very weird! I didn't use all of the liquid. I stopped when they seemed "full". Didn't seem quite as soggy as others have said they were. Yours look beautiful. Hi there - for the icing, what are the quantities of whipped cream, sugar and vanilla extract?? Many thanks! I also didn't use all the liquid. I just felt like it was too much. I did think the texture was different but overall enjoyed them. Yours look gorgeous! I kinda like wet cake. It'd be like a trifle! I thought the texture was improved the next day, but I only used half the milk mixture. Love your photos! I love Tres Leches anything. When I make them in cupcake form - I always use foil liners. And another helpful tip is to prick them with a fork as soon as they are out of the oven and then spoon over 1tsp of the milk mixture at a time until it seems they've taken just about as much as they can (at this point the milk starts oozing a bit on the top). The sogginess is good! Esp. when cold! I like so much how it's almost bread-pudding-ish in flavor and texture. But that's me! Your cupcakes look very, very pretty! Tres leches is supposed to be soggy, if it isn't it hasn't been made correctly. The leche or milk part should ooze out when you take a bite. OK Judy. Enough now - it's been a whole month. I want to see your next post! ohh, I have to say it - I dream about kitchen aid, it makes life easyier! And by the way - nice photos!